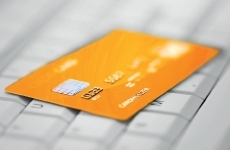 ISO7013R‐INT	| Write the first review! 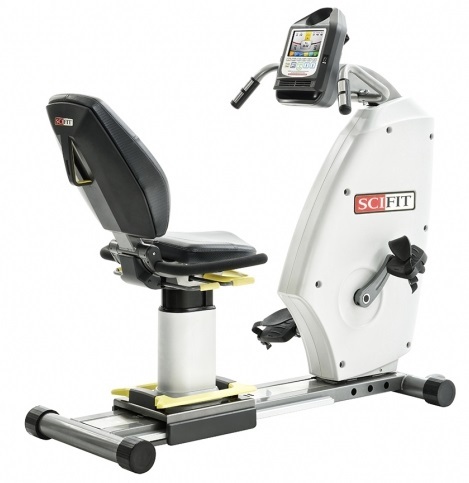 Part of the exceptional full commercial SciFit range from Life Fitness, the SciFit medical recumbent bike ISO7000R bi directional standard seat features a silver powder coated frame and cool grey covers, providing the ultimate smart machine to fit seamlessly into both home and commercial environments. 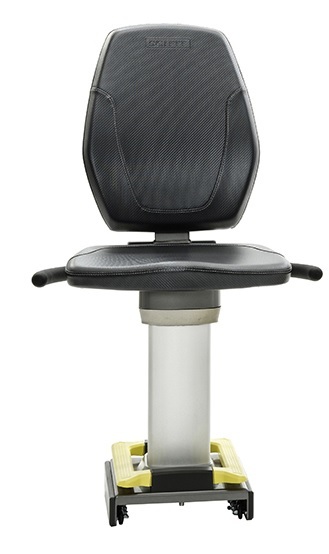 Despite slightly less adjustments in comparison to the premium seat option, the fixed position wheelchair accessible standard seat offers the same great features – including forward/backward adjusters. 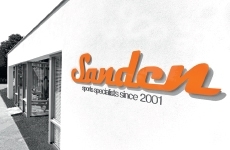 The standard seat is also built to withstand a heavier user weight of 227kg. 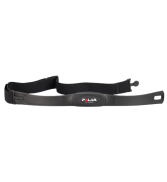 Optie SciFit: Polar T31 borstband ( €29,95)	i A lightweight, waterproof chest belt that picks up the electrical signal from your heart and transmits to a wristwatch receiver, making our HRMs ECG accurate. 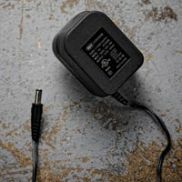 SciFit Wall Pack Transformer (AC Adapter) ( €29,-)	i Allows self-generating units to be plugged in, so the console remains lit and displays data longer. Compatible with all SCIFIT products except treadmills. 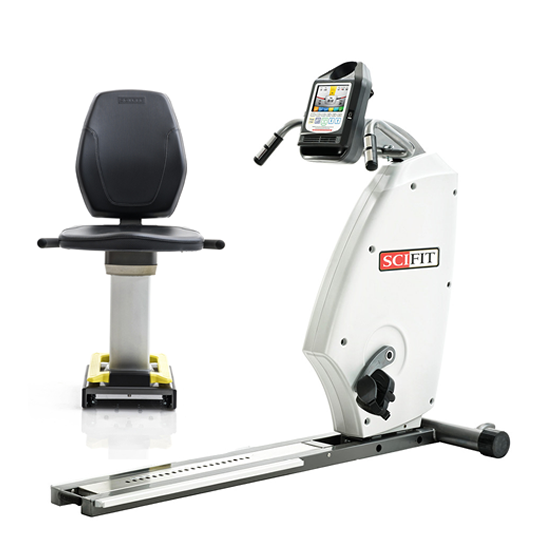 SciFit Sports Performance Pedal, Pair ( €195,-)	i High-quality design for high-intensity training. 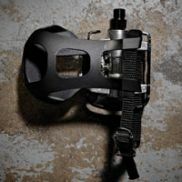 Compatible with Shimano SPD cycling shoes. Reversible for cleat connection. Easily removable. 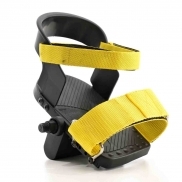 SciFit Low Support Boots, Pair ( €0,-)	i Keeps the foot on the pedal with sturdy straps around the back, top, and front of the foot. SciFit Adjustable Cranks, Pair ( €495,-)	i Three adjustments (12 cm, 15 cm, 17 cm) for variable range of motion. Accommodates variable user heights. 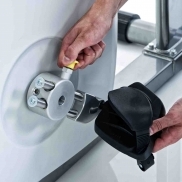 Meanwhile, its step-through design enables easy entry on a horizontal monorail for safe positioning and both pedals are oversized and complete with adjustable foot straps, allowing the ISO7000R to deliver a comfortable experience for users. Alongside fixed cranks, the bi-directional resistance enables versatility and reciprocal muscle balance. Built with workload levels ranging from 1 – 20 which are adjustable in 0.1 increments, you are provided with 191 levels of resistance in total. The top grade Intelli-Fit console feeds back all the workout information needed, including Heart Rate, Time, RPM, Calories, Distance, Level, Watts and METS – allowing you to analyse every workout in exact detail. Meanwhile, choose from 12 exciting workout programmes: Manual, Iso-Strength, Heart Rate, Constant Work, Random, Hill Profiles, Fit-Quik, Power Burst, Heart-Fit Test, Heart-Fit Training, Power-Fit Test and Power-Fit Training. 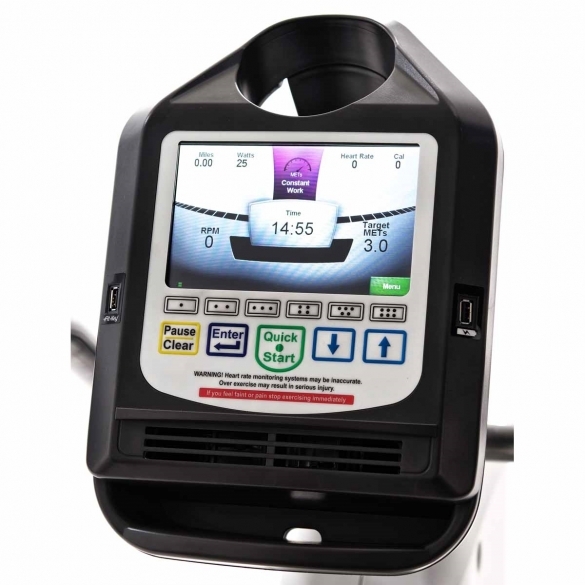 The SciFit ISO7000R is self-generating from 6 watts, with auto recharge and battery back-up. 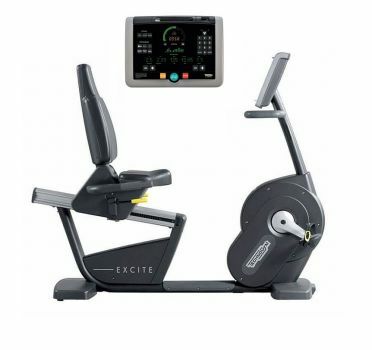 If you are looking for moderate cardio activity and additional comfort, the TechnoGym recumbent bike Recline Excite+ 700i black used offers the ideal cycling experience. During exercise with the Recline Excite+, your working posture is more open compared to the posture you adopt with an exercise bike. Your body is supported by a backrest and that is what makes it possible to obtain the benefits of a complete cardiovascular workout without overloading your shoulders and back. The new colors add a stylish touch to the space and are the perfect solution for facilities that want to deliver a unique experience. 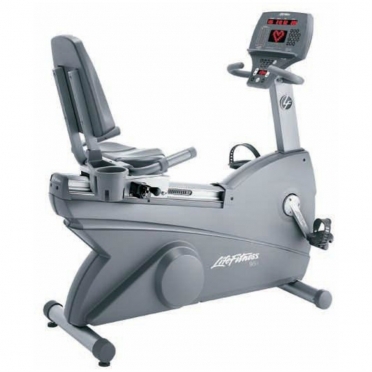 This used recumbent Bike is in very good condition. Please note, the console on the photo is equipped with the optional TGS key reader. 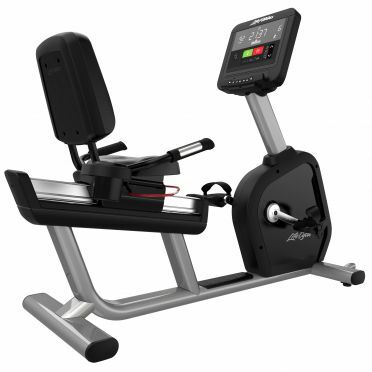 The Life Fitness recumbent bike 95Ri used Silverline is a great investment for users who enjoy the workout they get on an exercise bike, but whose backs can’t take the discomfort of sitting upright on a traditional bike for long periods of time. 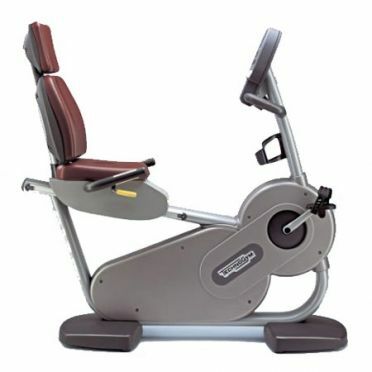 The ergonomic reclined seat is wide and comfortable, with aeration slits to keep the user cool and dry during hard workouts. There are grab bars installed at both the sides and front of the bike that allow the user to shift position as needed without sacrificing stability or safety, and the seat has an adjustment range of 56 to 89 cm, allowing it to accommodate a wide range of heights and sizes. 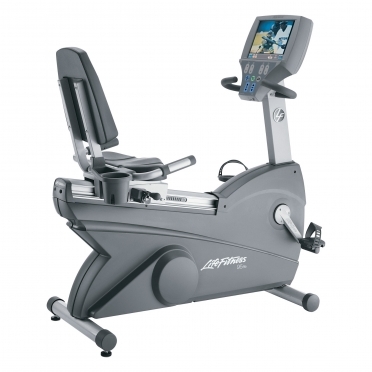 This used recumbent bike belongs to the exclusive Life Fitness Silverline collection and has been completely checked by our experts and is in top condition.